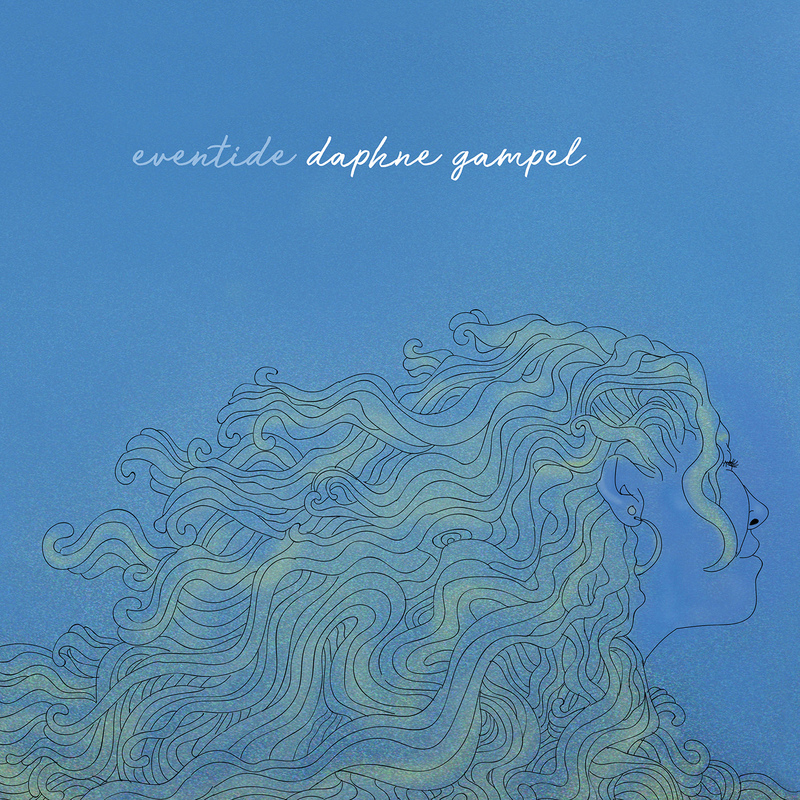 RMI Records is proud to announce the release of Eventide, the stunning debut album from vocalist and songwriter Daphne Gampel. A bold statement of arrival, this all-original collection music introduces a high-impact musical force to the world. Gampel’s eclectic musical style is at once new and familiar. One can hear traces of the more distant past, with ethereal multitracked harmonies reminiscent of Joni Mitchell, vocal dexterity that evokes Sarah Vaughan, and a sense of intimacy of delivery suggestive of Roberta Flack, while at the same time bringing in sounds of more contemporary vocalists such as Nai Palm, Erykah Badu, and Amy Winehouse. Her fluency in jazz informs her sound but is not overbearing, rather serving to enhance the twists and turns of her creative yet exceptionally catchy original songs. The remainder of this material was generated in a condensed flurry of songwriting activity while Gampel was on tour in June of 2017. Two months later, she and her primary collaborator, bassist/producer Rain Johannes, spent two intensive weeks laying down the instrumental tracks for the album. The resulting grooves have a warm continuity while bursting with energy. In particular, on a number of tracks we hear a synergistic hook-up among Johannes’ bass, Justin Fossella’s drums, and Gampel’s own sophisticated rhythm guitar work. Her lyrics are similarly evocative. At times they are philosophical, as on “Clean,” which offers a reflection on opening up to the sounds around us, buoyed by the flugelhorn of Jake Zall, and “My Age,” which picks apart the milestone of a birthday over a folk-infused rhythm akin to the ballads of Coldplay or Radiohead. At other times she looks more directly at relationships, as on “Bookends,” which juxtaposes an anti-love narrative against upbeat Al Green-esque music, and “Island,” a pop anthem whose irresistible melody and piano-driven musical backdrop were generated during a brief respite on the shores of New England. Even those who don’t speak French are apt to be swept away by “La Distance,” a bossa nova-inflected song of yearning for the unattainable. The use of French lyrics is far from an affectation here; she is the daughter of the widely celebrated, Paris-based concert pianist Alan Gampel and as the album was being mixed she was spending the semester at the University of Paris — Sorbonne. As impressive as the band Gampel and Johannes assembled is throughout this album, the more intimate moments later in the album are very potent as well. The lyric-less “Land” is a haunting, layered a cappella soundscape that segues into the solo guitar-and-voice number “There and Back.” On the latter we hear how commanding her guitar work is on its own and how well equipped her voice is to handle the corresponding expressive subtleties. The album wraps up with the tour de force “Love and Justice.” Accompanied only by Jonah Bobo’s nuanced piano, this track was recorded live in one take and discusses her frustration, in the context of visual art, over not being able to adequately express her emotions and ideas. There is great irony there, in that her vocal performance displays the maturity and depth of expression one might expect from a singer twice her age. Noah Baerman, Resonant Motion’s Artistic Director and label head of RMI Records, says “frankly, having Daphne involved with RMI is a coup. 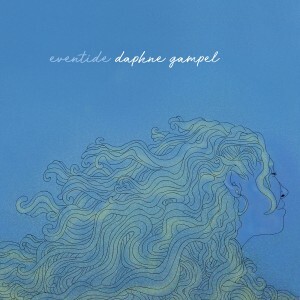 When I first heard her sing it was clear that she was unusually talented, but as I’ve gotten to know her as a musician and person, I’ve seen someone with a tremendous depth of vision and, probably more importantly, the determination and humility to do whatever possible to get better.” Already a fully satisfying work of art, Eventide is perhaps most exciting for what it augurs, giving music lovers a first glimpse of an artist who is only just beginning. RMI Records is the label wing of Resonant Motion, Inc., a Connecticut-based non-profit focused on music as a vehicle for positive change, both internal and societal. After gaining national attention for Noah Baerman’s Ripples album, RMI Records has signed up-and-comers like singer-songwriter Jessica Best, cellist-singer-songwriter Mel Hsu, and guitarist Sean Clapis and later-career but under-recorded artists like singer-songwriter Franya Berkman, as well as more established artists like renowned pianist George Colligan and guitarist Amanda Monaco’s Pirkei Avot project.